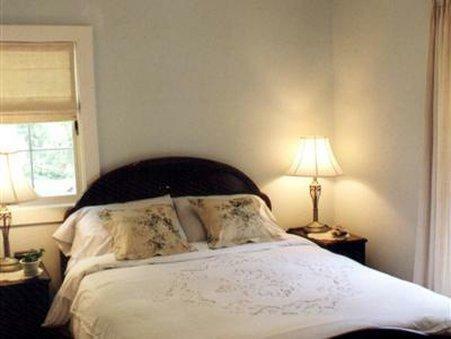 Located just east of the Rainbow Bridge (a one-minute walk away), the Bluecrest Bed and Breakfast is 5 km from Horseshoe Falls and is popular with couples looking for a quiet stay close to area attractions and the Niagara region wine route. The hotel has 6 suites, each offering cable TV, central air conditioning, a DVD/CD player and a hair dryer. 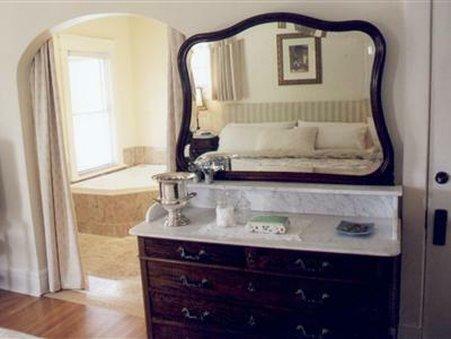 Some suites include jacuzzi tubs and fireplaces, and the hotel also provides a fully-equipped guest kitchen. Parking is free, pets are not allowed, and the hotel is not wheelchair accessible. 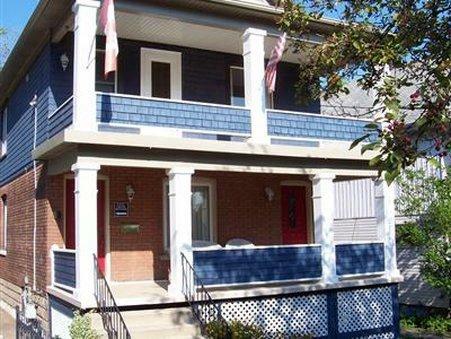 The Bluecrest Bed and Breakfast is within a short distance to many of the Falls' tourist attractions, including Journey Behind The Falls, Fallsview Casino, and Skylon Tower (all roughly 4 minutes driving time south of the hotel). A complimentary home-baked breakfast (cooked by Bluecrest's owner) is included for all guests and is served from 9:00 am to 10:00 am daily in the breakfast room. Additional nearby dining options include the Rainbow Room, the Hard Rock Cafe and Jade Gardens (all within a 10-minute walk from the hotel). Verified with a front desk agent: Free parking, free breakfast and pets not allowed. (Call date: August 23rd, 2012). 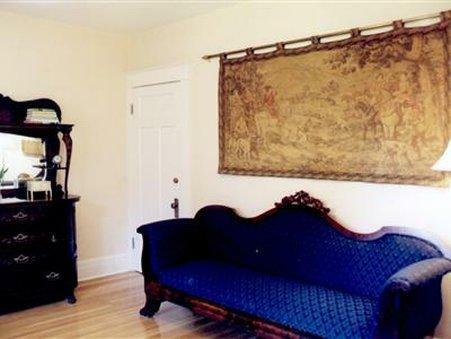 Guests complimented the Bluecrest Bed and Breakfast on its complimentary breakfast, rooms and convenient location. Most guests were very pleased with the complimentary breakfast provided. They described it as plentiful, filling, and delicious and mentioned enjoying items such as pancakes, waffles, bacon and eggs. The innkeeper at this hotel is also the cook, and many guests mentioned enjoying the friendly service and conversation provided during breakfast as well. The rooms were a source of many compliments by the hotel's reviewers. 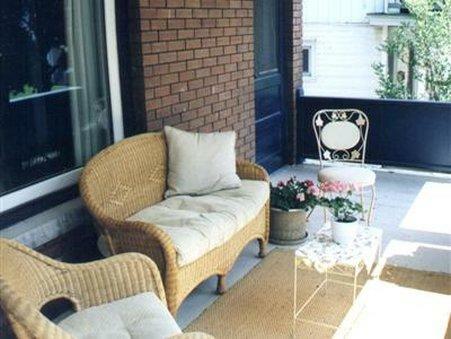 They were characterized as very clean and spacious, in spotless condition, and with amenities such as jacuzzi tubs and a TV in the washroom, which were appreciated. Several guests made mention of the Bluecrest's convenient location in relation to its close proximity to the Falls and surrounding attractions. Many of these guests described the hotel as being "within walking distance to the Falls" (a couple of minutes to the nearest viewing point) and also mentioned its proximity to the Rainbow Bridge (one minute on foot) being convenient for those embarking on Niagara wine tours. Some guest reviews, of those used for this analysis, included negative comments about the hotel’s temperature and carpets. Although there were very few negative comments regarding this hotel, a couple of guests mentioned that the air conditioning was not cool enough and that their rooms were a little warmer than they preferred them to be. A few guests mentioned there were some stains on the carpets in the Bluecrest, but this seemed to be the only complaint regarding the hotel's decor by reviewers. Hotels.com guest reviews rated the hotel 4.5 out of 5 from 22 reviews. BedandBreakfast.com guest reviews rated the hotel 5 out of 5 from 37 reviews. Expedia.ca guest reviews rated the hotel 5 out of 5 with a 100% recommendation from 12 reviews. The average guest rating for Bluecrest Bed and Breakfast is 8.8 out of 10 based on 159 reviews from past guests. 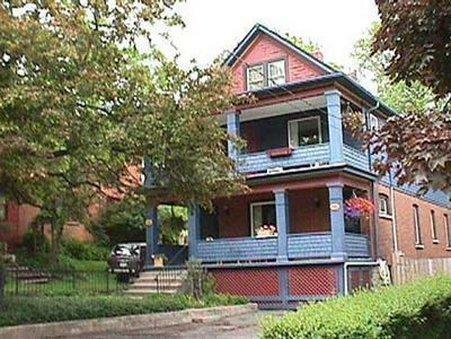 This average guest rating ranks Bluecrest Bed and Breakfast at #12 out of 93 hotels in Niagara Falls.